Find a romantic honeymoon suite in the Mother City! Your honeymoon suite will make your night as long as your day!!! I have made a selection of hotels with honeymoon suite and other accomodations with just beautiful rooms which would be perfect for your honeymoon! You are so lucky! I wish I could be on honeymoon trip in one of the best honeymoon destination! A superb private and modern hotel. Honeymoon Suite 1 and 5 have a beautiful sea view and jacuzzi. All with mini bars, tea and coffee making facilities, air conditioners, heaters, electronic safes, 2 CD’s of choice, DVD Library, candles, bath salts and amenities, shaving points and hairdryers. Beautiful view on the ocean, heated indoor pool with a fully equipped gymnasium. Complimentary canopies for sundowners. Beautiful decor,very elegant.5 min from city center. This is a stunning venue to celebrate your wedding right in the middle of the winelands! I'm very fond of the Cap Classique Suite with its private plunge pool. This is the type of place where you'd like to stay a little bit longer...! Air conditioning, underfloor heating, mini bar, satellite tv, dvd player, telephone, safe, complimentary tea and coffee tray, bvlgari bathroom amenities. Gracious Cape Edwardian mansion. Relais&Chateaux style.Room 4 is as good as a honeymoon suite with sea view and extra large bed.Restaurant,Spa and gym facilities. 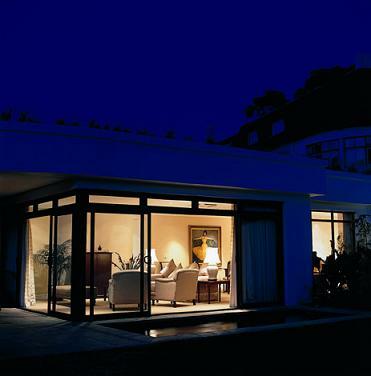 This beautiful 5-star villa provide luxury accomodation. All suites have breathtaking view on the ocean, heated salt water pool, 3 BBQ's, an outside bar and shower,stylish airconditioned,TV/DVD, Hi-speed internet points, underfloor heating, heated towel rails, superking/califking or queen beds. 10 min from city center. Elegant lodge with stylish furnishings and 3 pools.Balinese-style 1 Luxury suite, 3 Superior rooms, 2 Deluxe rooms, all with en-suite bathrooms,32” Flat Screen Plasma Satellite TV, DVD and CD player, telephone, WiFi broadband internet access point, mini bar and electronic safe, amazing view on the ocean. Small boutique hotel with swimming pool and exceptional views over Cape Town. Superior room is bigger with better sea view, with king size beds, air-conditioning, Flat screen TV’s with integrated DVD/CD player, Safes, Direct-dial-in phones, access private outside space. 5 min from city center. A stunning refurnished old Cape Dutch Homestead. The Elephant room for honymooners with its own luxurious en-suite bathroom, air-conditioning, safe. Plunge pool and sundeck with breathtaking views of Lions Head. 5 min from city center. My husband and I have celebrated our 1st year Anniversary in this magic place! It's a must! You'll leave your car at the entrance and a chauffeur will drive you up to the top of the forest where you'll be staying in ultra-luxurious tree suites. 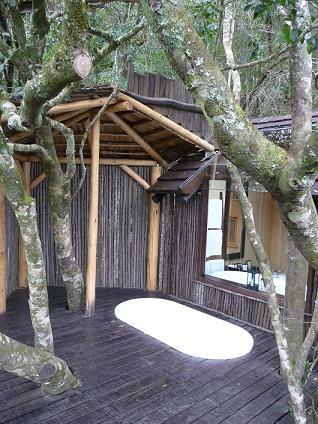 If you book the Upper Tree-Camp treesuites, you'll have a jacuzzi on the deck, where Vervet Monkeys will come and say hi! Their restaurant also serves fantastic dinners and breakfasts.